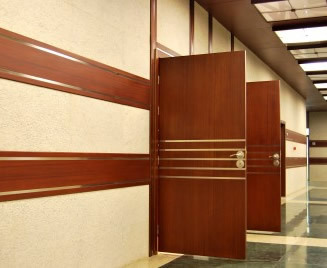 We supply only the best manufacturers of architectural grade wood doors to insure the doors stand out, are machined properly and are trouble free for the contractor and the owner. There is nothing like wood to give your project a professional look of quality. For over 36 years Chapman Smidt has been serving the needs of projects just like yours with the highest quality wood doors and fantastic service in the Houston area. If you are looking for a specific manufacturer or a specific finish on a wood door, we can help you get it. All popular styles and colors are available.